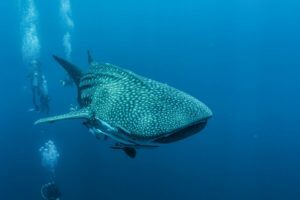 During my stay on Koh Lanta I went on a triple tank dive trip with Kon-Tiki Diving and Snorkeling center, it was an amazing experience! Although it was only one day, it was quiet a long day and it felt a bit as being on a living aboard! Their service was excellent, the diving was great, the food delicious and I made some new dive friends! 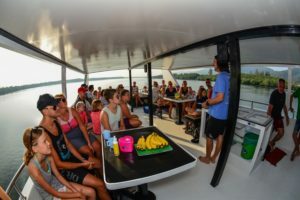 Although it was quiet a big and full boat, I was positive surprised by how well everything was organised and how the diving took place in small groups. 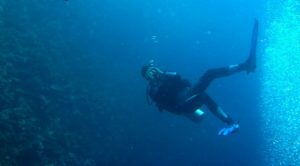 Read on to experience this amazing dive day with me! At 07.00 am I´m picked up for a short ride to the Saladan pier in Koh Lanta. We board the big Kon-Tiki boat where fruits and coffee are already awaiting us. After a very clear briefing we are ready for our breakfast. I´m surprised to see homemade cereal bread and scrambled eggs among other nice things. I have to watch myself not eating too much right before my first dive, because we´re going to Koh Haa and I´m all excited! Koh Haa is the Thai name of the site and it means the 5 islands. 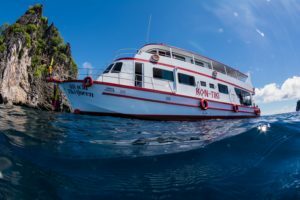 The dive site is suitable for beginners as well as for advanced divers. 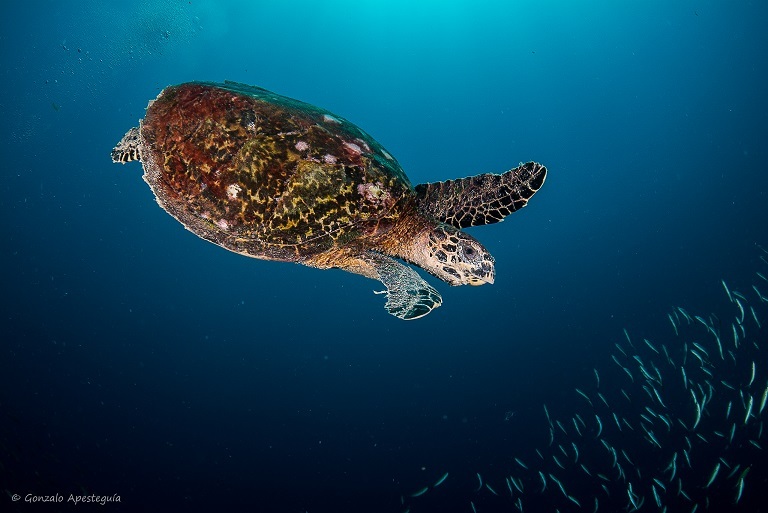 Snorkelers will also enjoy these uninhabited islands full of lagoons and turquoise, crystal clear water. The divers can enjoy some diveable caves and swim-throughs on top of that. The place is full of life and after my dive briefing about the first dive site of the day, named Koh Haa Yai, I keep my fingers crossed for the turtle or the tiger tail seahorse. My dive group only exists of one other girl and a Divemaster. What a service! Most other groups I see are diving also in small groups of 4 divers max. This way we´re not one bunch of divers but we are kind of spread out over the whole dive spot. 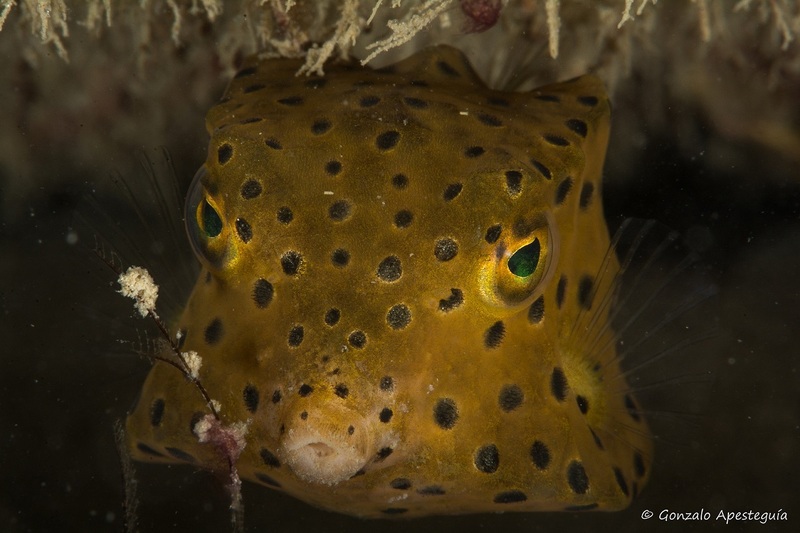 I see many trumpet fish and fall in love with a super small yellow boxfish. When we reach the bottom at about 18 metres, next to a wall, where usually the tiger tail seahorse is seen, I´m a bit disappointed that he isn´t ´home´ today. 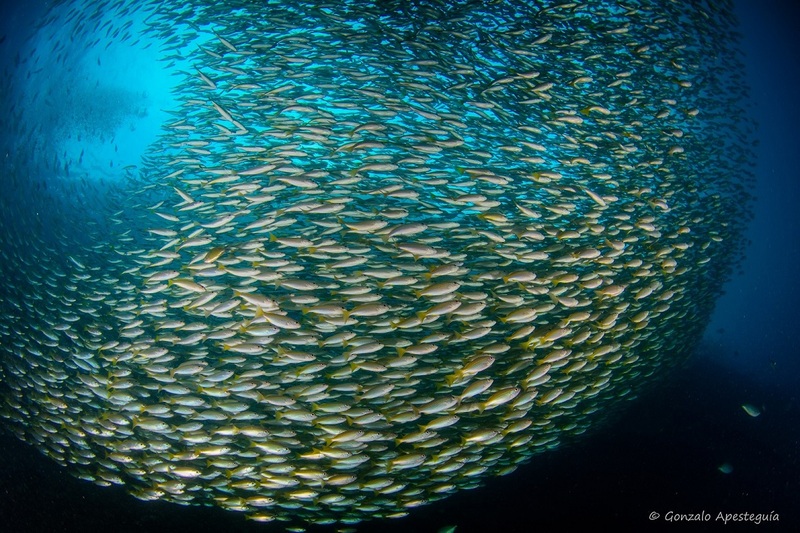 However, the amount of fish life and other things we see makes me soon forget about it. 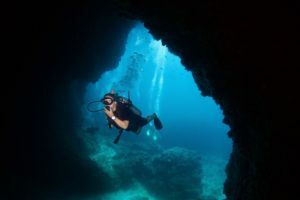 We continue the dive and pass a cave and in the second one we see a ray. We enter one of the caves and then come up to the surface to see the damp covering the sea and it is amazing! 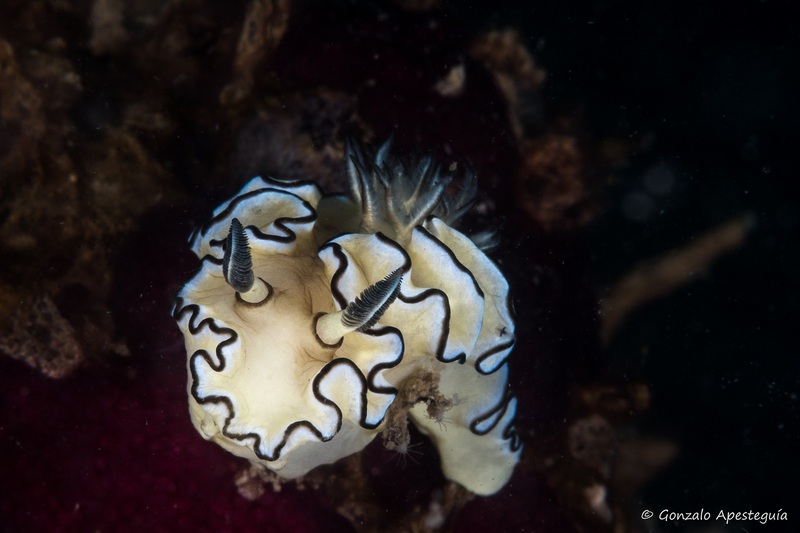 When we continue our dive we also see, among other things, two big lobsters, a hawksbill turtle and many nudibranch. Great, this is already a dive to remember! 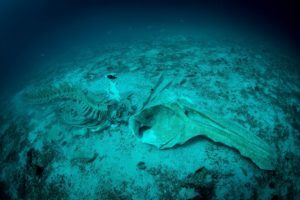 A whale skeleton at 33 metres..
On our second dive site, Koh Haa Lagoon, we see a huge skeleton of a whale laying on the bottom of the ocean at about 33 metres of depth. Nobody knows how the skeleton ended up here, but it´s very intact and it looks like it´s not there since a very long time. No life has started to grow upon it yet. 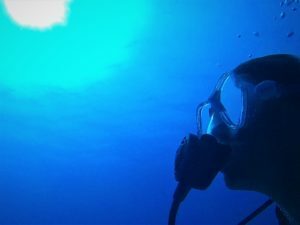 It is however something different to see underwater and well liked among the advanced divers who are certified to go to that depth. From the skeleton we continue our dive to the reef with a plateau on our right giving home to a huge amount of fish life. Big schools of fish and tiny glassfish are to be seen here as well some bigger stuff including a huge potato grouper. 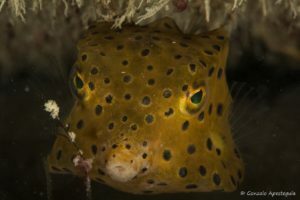 To complete our dive experience we also see a few more lobsters and morays among, again, a variety of macro and smaller stuff. The fish is getting more active in the afternoon! After a nice lunch and some meeting and chatting with fellow divers, we get ready for our third dive. On this dive I can feel another vibe amongst the fish and marine life. Sometimes typically for an afternoon dive, it looks like the bigger stuff we spot like barracudas and yellow fin tunas, are getting hungry. 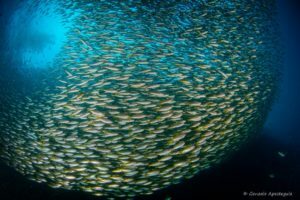 The big schools of fish, probably feeling a bit threatened, are constantly moving around us and sometimes suddenly moving in another direction. We also see octopus, huge morays, very big groupers again, anemone fish (clownfish), scorpion fish and some shrimps and small crabs. Right in the end of the dive, we see a stingray laying in the sand. This was the last dive of the day and I´m very satisfied about it all together. I did see much more then I expected beforehand. The dive team really spoils us. Now we can choose between strawberry or chocolate pancakes, at the same time being remembered of drinking enough water and electrolytes drinks. All offered free of charge. There is also a very skilled photographer on board who takes nice photos of the diving in general, specific creatures seen during the day and of each diver. You can buy your photos at the end of the day to take a memory home with you. You can find his contact details together with details about Kon-Tiki dive center a bit further down. My experience is only positive about this day, the diving and Kon-Tiki Diving Center. 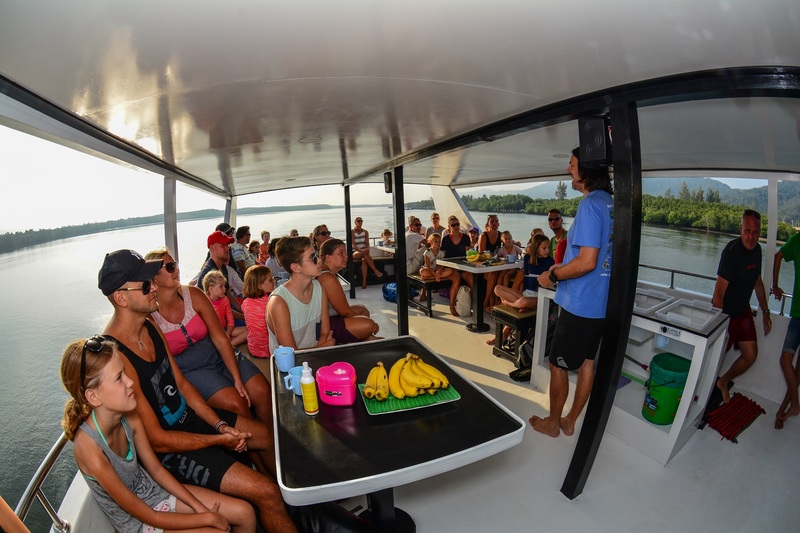 The staff is professional and friendly, having a lot of time available for your pre-dive briefings as well as discussing some fish life or any questions afterwards. Around 06.00 pm we got dropped off again at our accommodation where I enjoy the rest of my stay on Koh Lanta. Where is Koh Lanta located? The islands of Koh Lanta are located in the province of Krabi, at about 100km south-east of Phuket. Most travellers stay on Ko Lanta Noi, which is the smaller one of the two biggest islands. 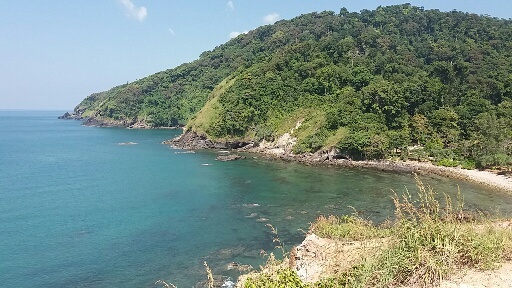 Ko Lanta Yai, the biggest island, is connect by a bridge with Ko Lanta Noi. Therefore you can reach Koh Lanta overland from Krabi international airport. You can also take the boat (ferry or speedboat) from Krabi, Phuket, Trang or many of the surrounding islands. Krabi however offers the nearest airport to Koh Lanta. Ko Lanta is a great alternative for the more famous, but therefore also more crowded, Phi Phi islands. Koh Lanta Noi is much bigger than Phi Phi, so there will always be a quiet beach to find for you on this 30 km long and 6 km wide island. There are amazing sunsets to see from Koh Lanta and there is a huge variety in restaurants, bars and nightlife. Other things to do around Koh Lanta include kayaking through the mangrove forests, exploring waterfalls, caves, forests and the Mu Ko Lanta national park. There are more than 70 small islands surrounding Koh Lanta, so it´s very unlikely for you to get bored on this island. You can rent a motorbike and explore on your own or book a tour offered by the travel agencies all over the island. 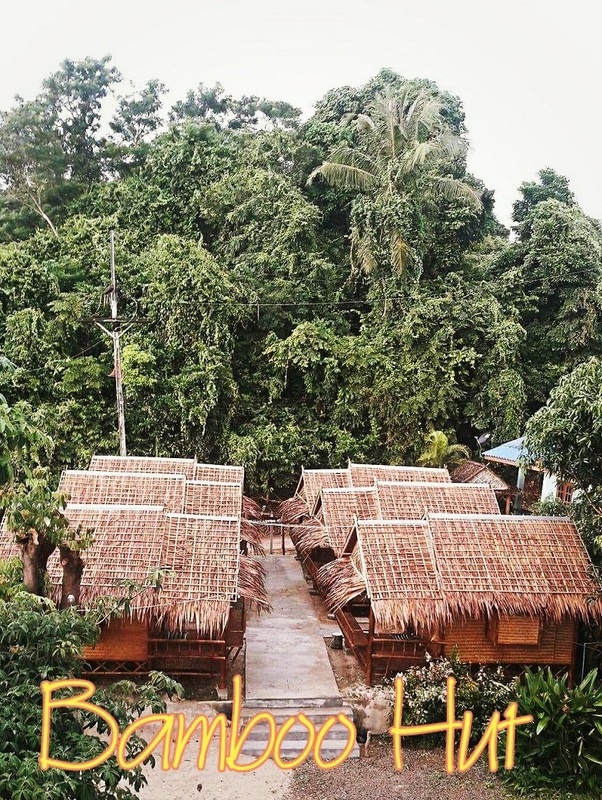 Where to stay at Koh Lanta? Especially in the busier season from November till April I can recommend to book your accommodation well in advance. Some places can be fully booked and all accommodations are quiet spread over the island so you don´t want to search around with all your luggage finding a place to stay! 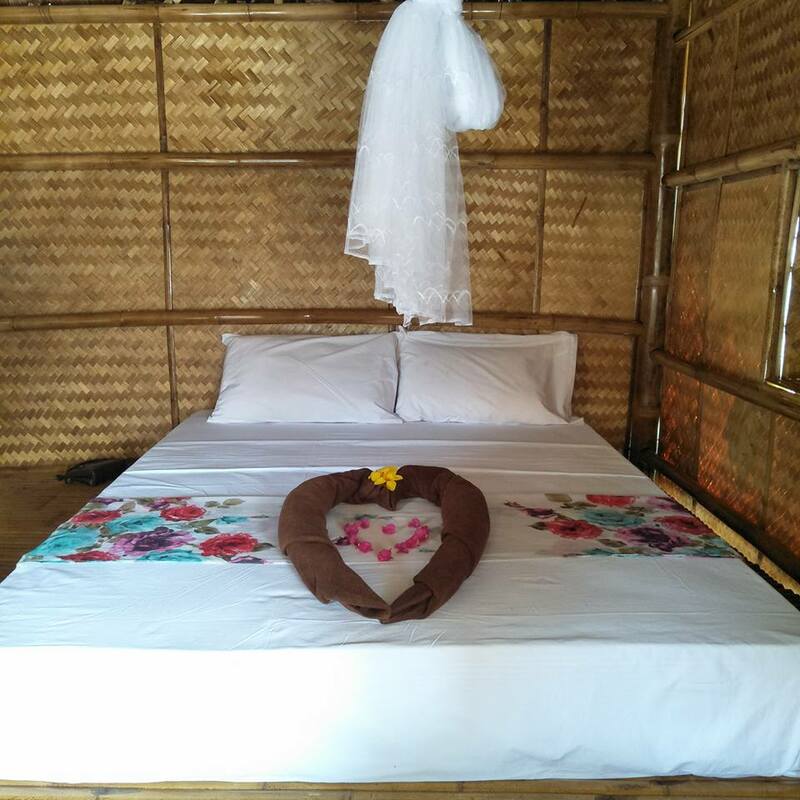 There are all kind of accommodations on Koh Lanta from budget and basic to expensive and luxury. 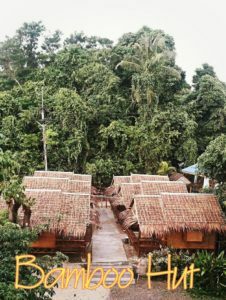 From a personal experience I can recommend the Bamboo Hut if you´re looking for a simple, budget accommodation. 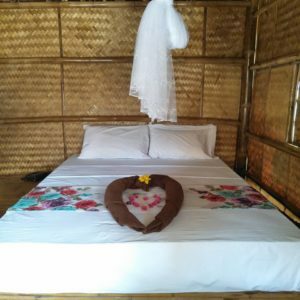 I paid only 600 Thai Baht for a simple, but clean bamboo bungalow with mosquito net, fan and private bathroom with cold water. The place was recently opened when I was there (2017) and so everything was new. The girl running the place is extremely friendly and helpful, one of these places where you arrive as a guest and leave as a friend! She also has scooters to rent, a restaurant opposite the bungalows and can help you doing a day tour for a cheaper price then the tour offices. The beach is just behind the street opposite. Another time I stayed at the Sea Shell Beach Resort, which is a different price a category and style. I paid 1100 Thai Baht for a room with air conditioning and hot water but the accommodation is located right on the beach. The food in the attached restaurant was delicious with a good vegetarian choice. My friend had a good experience staying at Oasis Yoga Bungalows, they are located close to the centre of town and offer yoga lessons and healthy food. Book them well in advance since they are fully booked at many dates. Kon- Tiki Divers is a Swedish run, well organised, 5 star PADI IDC center in Thailand. The dive center has dive bases in Phuket, Khao Lak, Krabi and Koh Lanta, offering day trips as well as liveaboards. 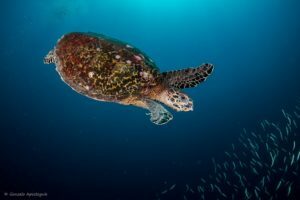 Click here for their overall website if you´re interested in diving other places in Thailand. 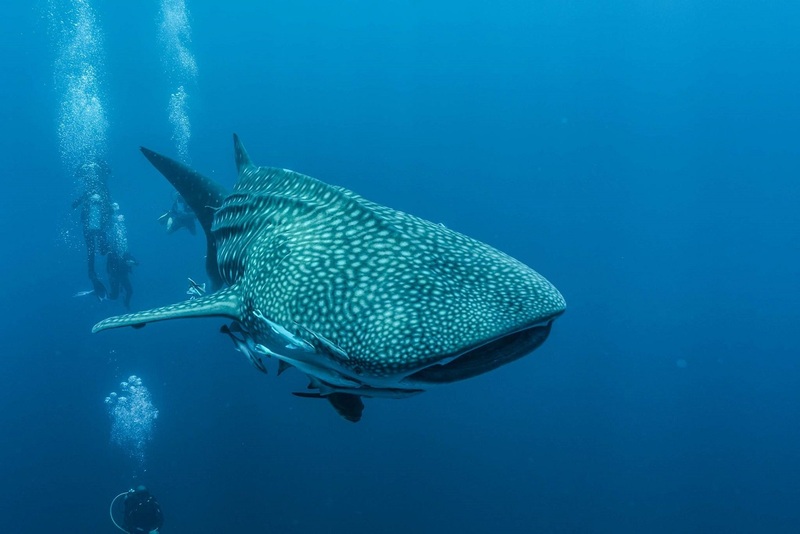 Other dive tours you can do with Kon Tiki from Koh Lanta include Phi Phi Islands, Phi Phi night diving and if you´re looking for something different you can do a ´dive safari´ in which you focus on one sea creature in particular and study this one a bit more profound. Other spectacular diving you might enjoy is the King Cruiser Wreck: a 85 meter long passenger ferry which sunk in 1997 and is situated at a depth of about 30 meter. For the more experienced diver I recommend the famous dive site called ´Hin Daeng & Hin Muang´. Diving these dive spots is also be done on a triple tank day tour. The site is famous for many wonderful pink- and purple coloured corals and is known for bigger fish like manta rays and the whale shark. A big thanks for Kon Tiki Diving Center and Peter, for making this trip available to me. Another big thanks to Gonzalo Apesteguía Zamorano for providing the photos in this article. If you like the photos you can follow him on Instagram as Gonzalopz or check out his Flickr account. My next article will be a travel blog update about island hopping the Andaman Sea and this is part of a serie in which I´ll bring you to 9 islands in the Andaman Sea. By clicking on this link you can get an overview for all articles about island hopping here in Thailand. If you don´t know what a splashpacker is, then read on! In my case, I have been working as a diving instructor in a variety of countries but have now decided to do more travelling. A splashpacker can also be a backpacker who loves to scuba dive or a diver who loves travelling. A backpacker travels around on a low budget, a flashpacker does it with a bit more luxury and usually with a laptop or other electronic device and a splashpacker travels around, loves to scuba dive and is chasing the best dive spots around the world. That easy! If you´re also diving and travelling, you can join the Splashpackers Around the World- Facebook group! 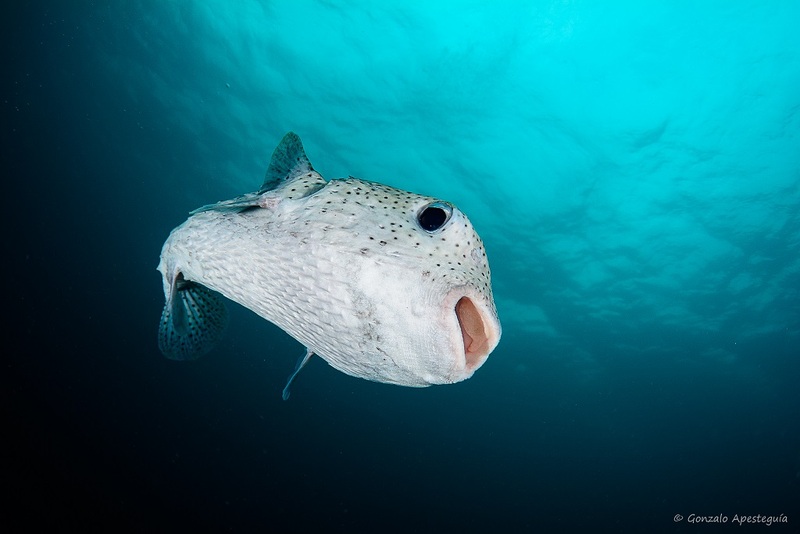 Click here to read more about my diving experience, by clicking on this link you can see an overview of all articles I wrote about diving and if you like to read more about my travel experience click then here. Happy Bubbles, Safe Travels and Enjoy Reading!